Revolutions and rebellions have always looked to our Exodus story for motivation. It never fails to inspire. 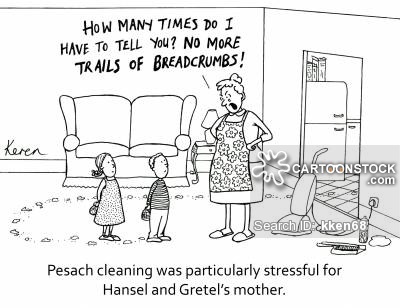 We go through a lot of different kinds of cleaning for Passover. Of course, there's the pre-holiday cleaning. Some of us take it verrrry seriously. Some of us less so. Some people go all out. I recently read a suggestion for a personal, physical cleanse, like a cleansing diet, that one would go through before the Passover holiday. To be honest, I usually want one afterwards, when it feels like I've only eaten sugar and junk food for the whole week. But there's something that feels incredibly holy about this period of cleansing. Much like the month preceding the High Holy Days, these days of preparation and cleaning, of cleansing both physically and spiritually, help to get us in the spirit of celebration, remind us what we're doing, and encourage us along the path toward freedom. 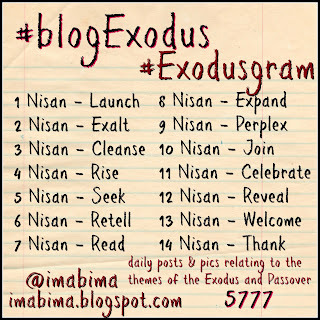 How are you getting ready for the holiday of Passover? -hold (someone or something) in very high regard; think or speak very highly of. -raise to a higher rank or a position of greater power. We exalt God for the miracles wrought at Passover, but we do so with the matzah, which is basically the opposite of exaltation. Instead of something that is uplifted and full of pride, matzah is flat and unassuming. It takes up so little space, it asks so little of us. God needs exaltation, but we need to be reminded to be humble. The study in contrasts is a part of Pesach, isn't it? We temper each sense with another one. We eat the bitter herb with the sweet charoset. We take away our wine in sadness for the plagues. We remember the salty tears of slavery as we recline like royalty. Exalt, yes. And always remember how we got here. It's a countdown to Passover. We Jews are great at counting, aren't we? It's almost like the anticipation is....dare I say it....better than the event. 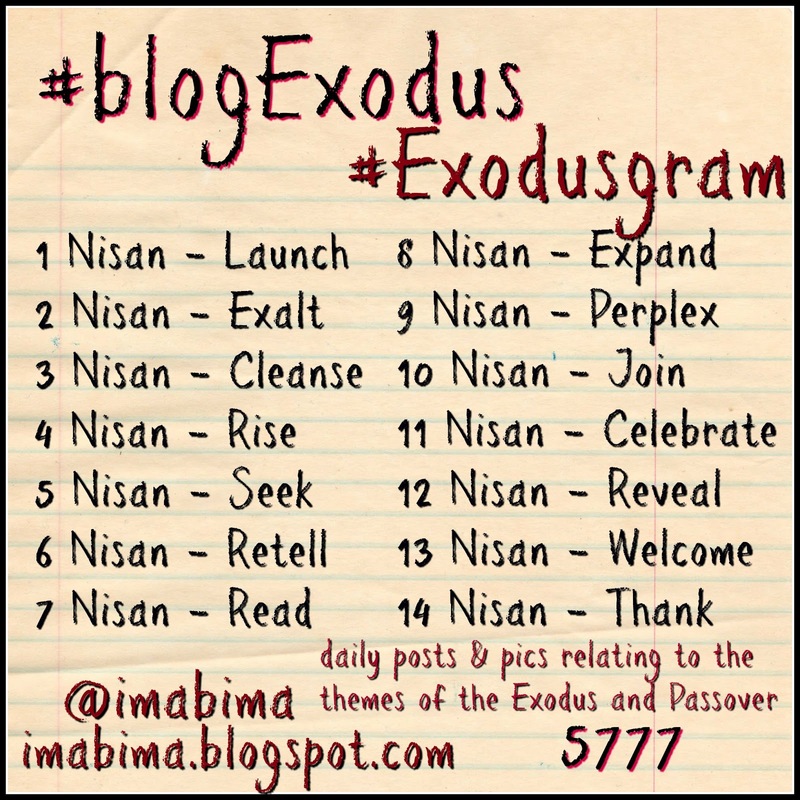 Let's launch into Nisan....and fly all the way to Pesach! 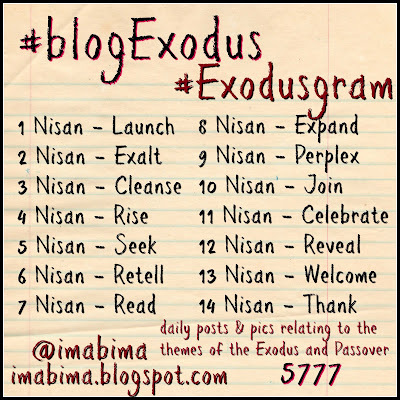 Rosh Chodesh Nisan, the first of the month of Nisan, is March 28, 2017.